Sketch Nation: Sketch Nation Shooter is the AppsFire WINNER!!! Sketch Nation Shooter is the AppsFire WINNER!!! 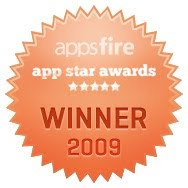 The AppsFire AppStar winners have been announced and Sketch Nation Shooter is the winner in the Games category! The winners were announced live at LeWeb. Contrats for the price. Can't wait to try this amazing game !